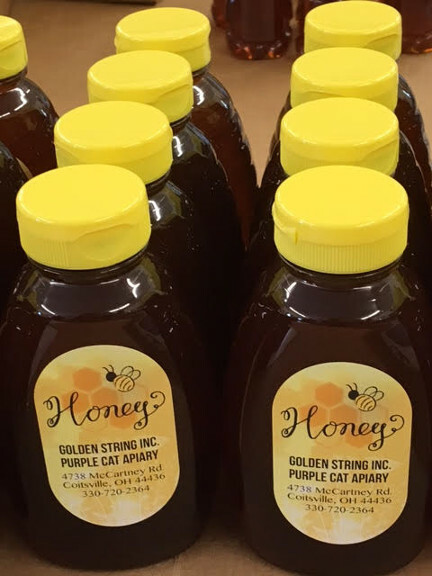 Purple Cat Honey Now Available : Golden String, Inc. 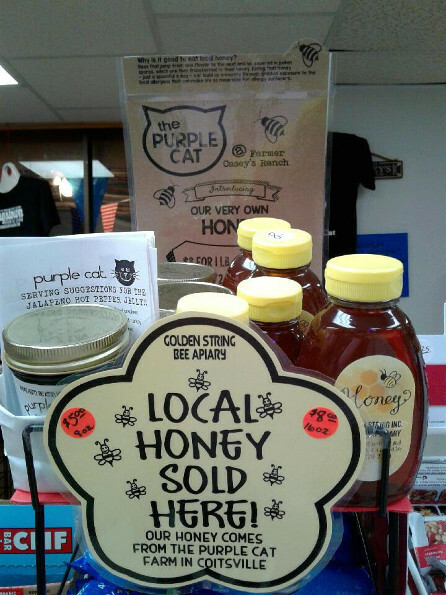 Direct from our very own Golden String Bee Apiary comes Purple Cat Honey. 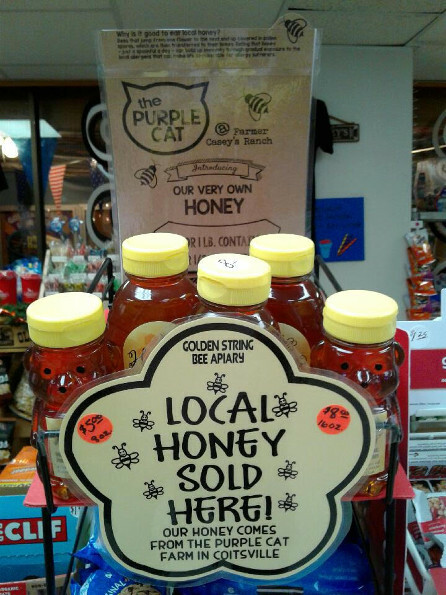 Why is it good to eat LOCAL honey? 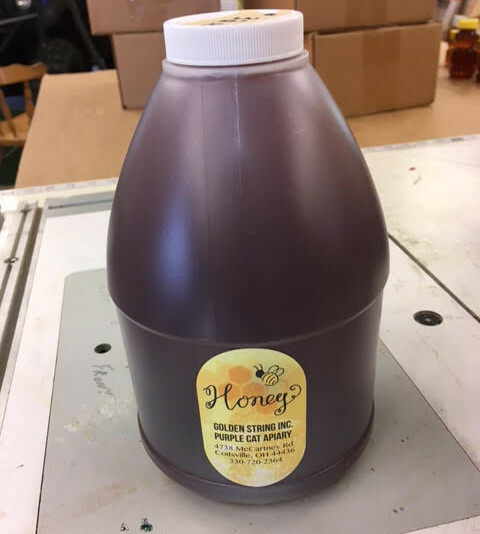 Bees that jump from one flower to the next end up covered in pollen spores, which are then transferred to their honey. 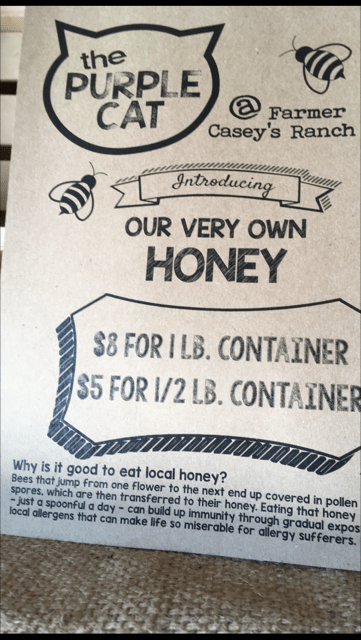 Just a spoonful a day can help build up immunity through gradual exposure to the local allergens that can make life so miserable for allergy sufferers. 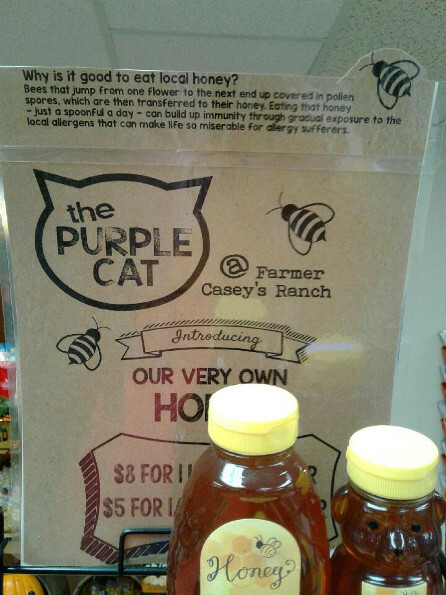 Available at Farmer Casey’s Ranch and Touch The Moon Candy Saloon locations.